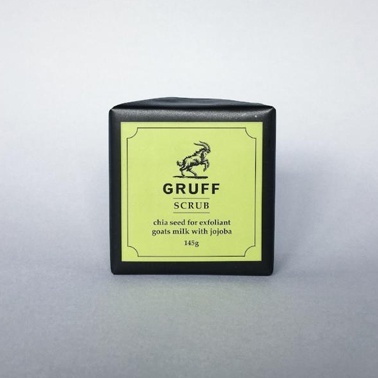 Introducing Gruffs simple, super-charged exfoliating bar. Taking a similar, minimal approach as the Slab, the Scrub bar is the perfect addition to any shower or basin. With jojoba oil to keep skin supple, our signature organic goats milk to nourish, and chia seeds to gently exfoliate the skin, it's our go to when you want that extra clean feeling. And, as always, it's proudly made in New Zealand with no nasties - being EDTA & SLS free. *No Nasties - EDTA + SLS Free.